Information theft is the most expensive consequence of cybercrime, according to a recent Ponemon study. Business interruption following a cyberattack exacts a high price in productivity and business process failures—even greater than the cost of information and revenue losses.1 The more data you share in the cloud, the more you expose it to attack. While there’s no one way to achieve absolute security for your data, there’s a lot you can do to safeguard against attacks and to stop them from crippling your business if they do occur. 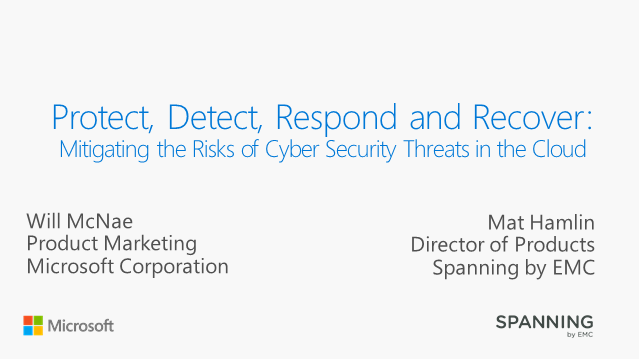 Join us for this webinar as we explore ways to more effectively protect your cloud-based data, detect threats, respond to attacks, and recover from them.